The long awaited continuation of the well known Call of Duty: Black Ops series is finally here, and it looks spectacular. Many people speculated earlier in the year that World at War 2 would be released due to various teaser images. However, the teaser images of the two bars were simply implying that it would have something to do with the Black Ops series. The official reveal trailer also brings forth confirmation for the recently leaked November 6th, 2015 release date. The game currently only shows up as a pre-order for Xbox One, PS4 and PC. There has been no official news about whether or not a last-gen version of the game will be released at some point in the future. 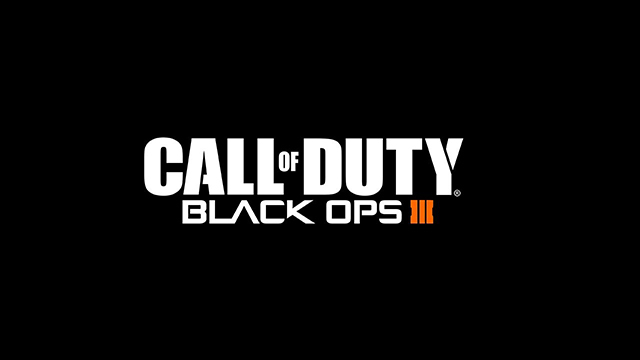 On top of the November release date, if you do pre-order the game now, you'll receive a code to be able to enter the Black Ops 3 Multiplayer Beta; no official date has been set for when the beta begin. Much like Call of Duty: Advanced Warfare, the new Black Ops installment will also be following the theme of futuristic warfare. However, it was 'new' for Advanced Warfare whereas futuristic warfare seems to have started in Black Ops 2. A lot of fans of the Call of Duty series are not happy with the games following this new future theme, being that many games are trying to do the same thing, you might get the feeling that you're not playing Black Ops 3, that wall running (a new feature) makes you feel like you're playing Titanfall. I'm not here to sway you, though. Take a look at the official reveal trailer below and decide for yourself whether or not you'll be picking up this game. When you start up the new campaign, it will be slightly different from previous Call of Duty campaigns. Instead of playing as a regular military soldier, you'll be able to pick a specialist, which is an augmented 'super soldier' who has a unique weapon and skill. If you payed close attention to the trailer, you might have picked up on some of those specialists. Such as the one who took controller over the drone-like machine flying by, or the other solider who turning his arm into an actual live-fire weapon. There was also a decent amount of information leaked about actual gameplay mechanics that will be available with the new title. You can read about that information here. Now, everyone might be thinking "yay, another boring CoD game with the same stuff as last year," you might want to think again. There are a lot of amazing new features that are going to be coming with Black Ops 3. CharlieIntel reports that after an interview with GamePlanetAU, they've received information that the new game will feature two systems call "GunSmith" and "Paintshop". GunSmith will allow players to take a base weapon from the lineup of available weapons in the game, and customize the attachments on your weapon (up to five) and add optics. Now compared to previous Call of Duty games, that's an insane amount of customization power! But, now we get to probably one of the best parts of the new game, Paintshop. With the use of Paintshop, you will literally be able to create CUSTOM camos for you weapons! It's pretty much the emblem creator system from Black Ops 2 for your weapon. You'll be able to customize up to 64 layers and apply it to your weapon instantly. That means good bye to all of those "I wish we had this camo!" posts across the internet. Treyarch also released a live action trailer for the new installment that depicts the world after Blacks Op 2. The quote at the beginning of the trailer has an eerie feel to it, when you really think about it. There's a ton more information that will be released online during the next few days, so keep an eye out as I will try to keep this article updated as we continue into the week. There was also mention from CharlieIntel that a skill-based system similar to Black Ops 2 will be returning. Let us know what you think of Black Ops 3, and what you might be expecting from it as we continue to approach release day.